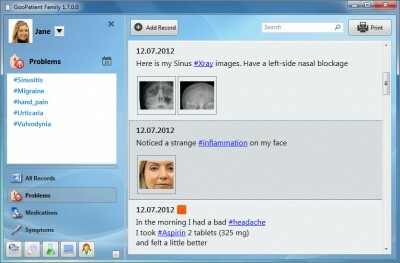 Goopatient is a free and simple software for personal health records. It includes Electronic Medical card with general health information and Health Journal to track your conditions and treatments day by day. The health journal utilizes hashtags (like in Facebook or Twitter) to make health records easy and intuitive. Pain Marker allows easily describe your pain. You can also attach medical files to the records and set health level. Living healthier just got simpler with The Body Journal, the unique personal health-care system from Front Street Medical designed to help you provide the best health care possible for yourself and your loved ones. Organize health records for people and pets, and keep family health diaries. 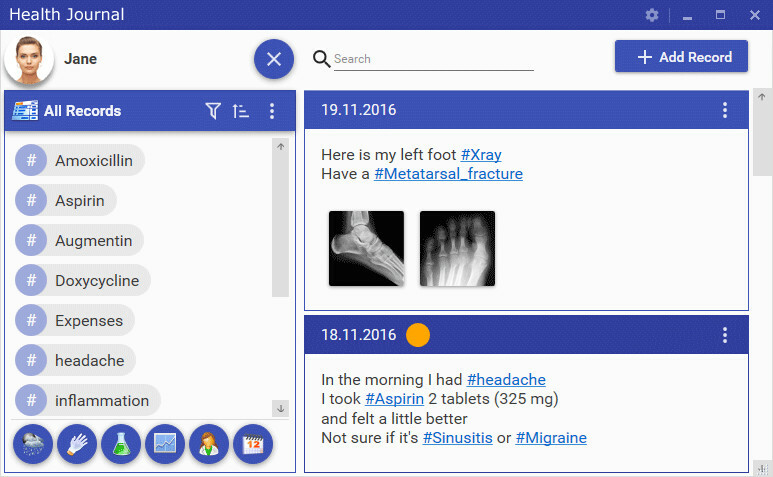 Medibase is the perfect medical health management tool.